SAME DAY RESULTS! - No need to wait 3 days before shampooing. Authentic Brazilian Blow Dry Keratin Kit. Enough to treat hair up to 2 times (depending on length). FORMALDEHYDE FREE - This product is totally free of formaldehyde, straight from the World Class leaders of Professional Keratin. THE COMPLETE KIT to smooth and straighten curly frizzy hair up to 80% on just the first use. ALSO WORKS PERFECTLY IN HAIR EXTENSIONS - Use to blend your natural hair into the same silky smoothness of your new Human Hair Extensions. ALL YOU'LL NEED IS A PAIR OF STRAIGHTENERS! Nano Keratin works by coating and infusing the hair with conditioning oils and Keratin. It can be used on all hair types although due to the high temperature of hair straighteners we do not recommend this product for full head bleached or over-processed hair. Highlights are fine but use this treatment before due to high heat. During the treatment the keratin is heat sealed in by straighteners and bonds to the inner and outer surface of each hair strand, literally like glue. Smoothing and sealing shut lifted cuticles. The coarse, dull, wiry, rough hair that you have always been used to will vanish for 3-4 months, leaving your hair smooth, glossy and swishy with movement that you could only dream of. Bad hair days will be a thing of the past! Trying is believing! Which AGIMAX is right for you? This product Can be used on ALL Hair Types but please check your hair's tolerance to temperature of your Straightening Irons first. 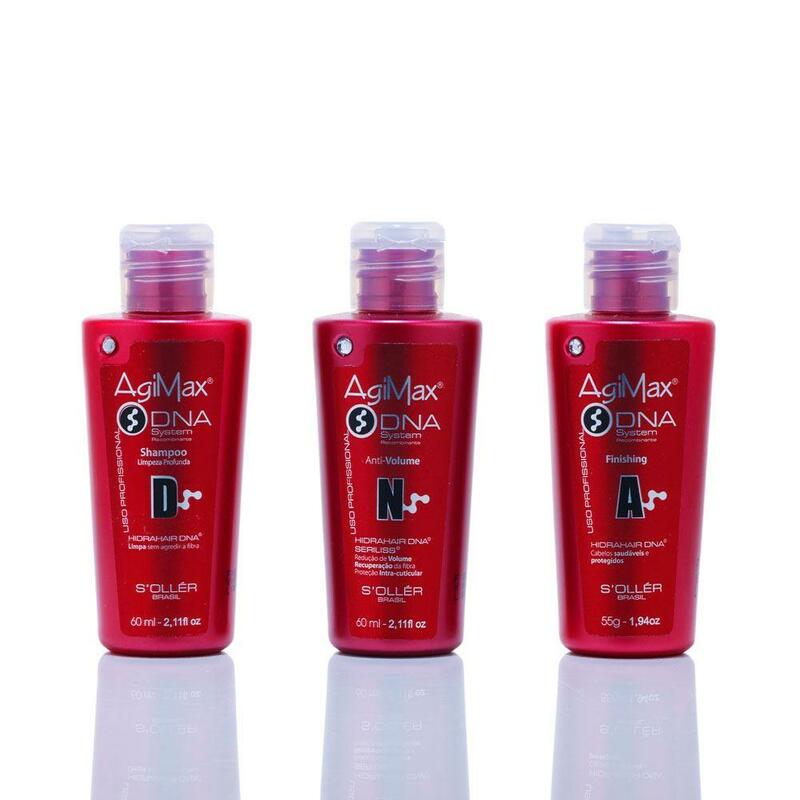 Use DNA 1 week BEFORE Highlights or 1week+ AFTER treatment for Full Head Bleaching.